Is it possible that the struggles you have with your child may because he or she suffers from post-traumatic stress syndrom? Once ingnored, even by the medical professionals treating war veterans, PTSD is gaining global recognition as a very real and serious issue for those who have experienced traumatic events, even children. Author Jolene Philo was always told that “”babies don’t feel any pain”” and that her son would not remember the traumatic surgeries and hospital visits he endured as a young child. However, research has shown that when childen experience medical illness, witness violence, or are abused, it can leave a lasting effect. According to recent studies, fifty to sixty percent of children who experience these traumas early in life may suffer from a form of PTSD, leading to issues in childhood, through adolescence, and even into adulthood. 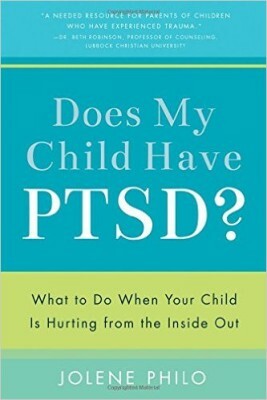 Does My Child Have PTSD? is designed for readers looking for answers about the puzzling, disturbing behaviors of childen in their care. With years of research and personal expererience, Philo provides critical information to help people understand causes, symptoms, prevention, and effective diagnosis, treatment, and care for any child struggling with PTSD.